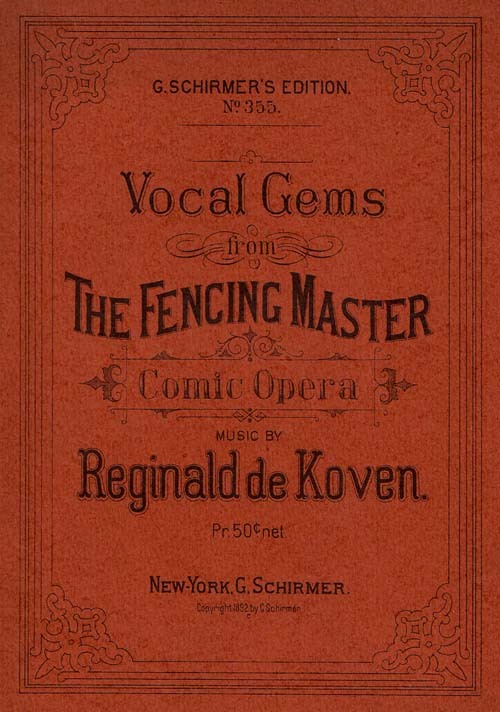 This lovely duet from his operetta The Fencing Master shows DeKoven at his romantic best. Have loved thee with hopes and fears. Only for thee. Faithful ever twill be. Fate has linked our lives together, dear! Eer true to thee, love of mine. My heart is thine, dear, forever. Oh, dear one, I pray thee, beware. Now I smile through tears. Hold my secret in thy keeping. I give my life to thee, my own. You love me? Ah! What secret is here? Tis in my keeping. Naught shall part. A love enduring as thine. thy love the purest, the most divine. Dear one of my soul! You love me, love me only. Emblem of love, emblem of love. Love cannot die, love as true as mine. I adore thee, I adore thee. My hearts in thy keeping forever.